It is with glad tidings that we start a new chapter in our Bach Cantata series. Nun komm, der Heiden Heiland, originally performed on the first Sunday of Advent – and thus the beginning of a new church year – is the first cantata that we release in surround sound, a feature which adds to the dramatic aspect never far away in these miniature ‘church operas’. 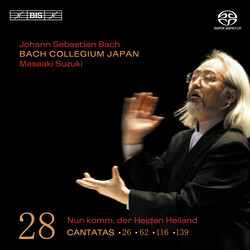 (The gain will be obvious for those who have had the opportunity to listen to Bach Collegium Japan in excerpts from the St. Matthew Passion – on recently released BIS-SACD-1500 – in surround sound.) This is the reason why the cantata series, from the present volume onwards, will be released as hybrid SACDs. (Being hybrid discs, they are also playable – in stereo – on all CD players.) 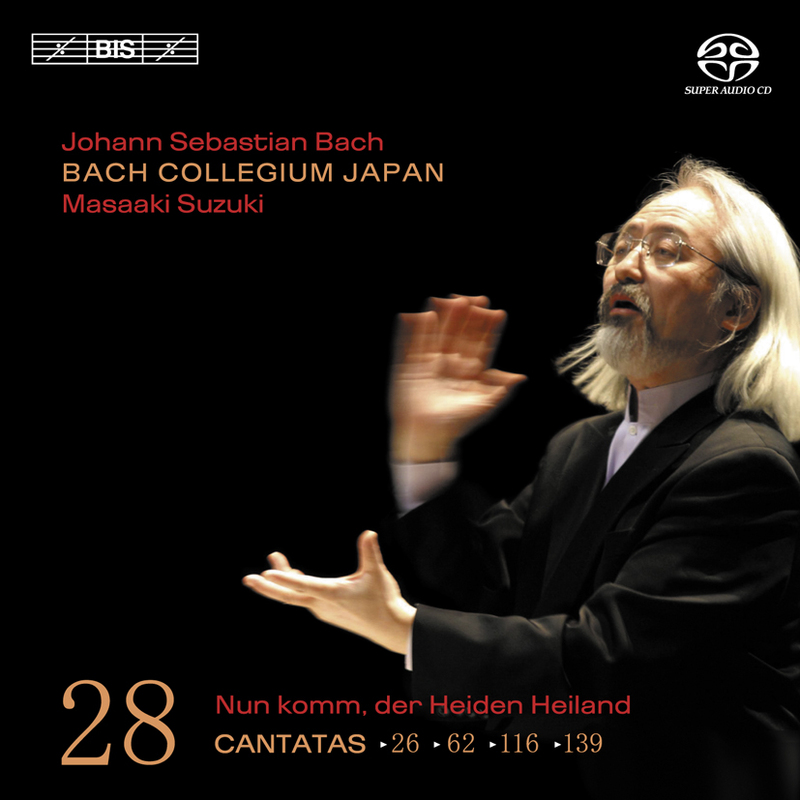 The upgrading of the sound carrier format is accompanied by an updating of the cover, mirroring the ever-fresh interpretations by Masaaki Suzuki and Bach Collegium Japan. The soloists on the present disc will be known to everyone who has followed the series, with Peter Kooij excelling in the operatic ‘Streite, siege, starker Held’ (BWV 62) and the virtuosic ‘An irdische Schätze’ (BWV 26) and Robin Blaze providing a magic moment in his duet with Masamitsu San’nomiya’s oboe d’amore in ‘Ach, unaussprechlich ist die Not’ from BWV 116.